Nottingham Forest legend Kenny Burns has tipped Joe Worrall for a big future at the City Ground as he fears loan side Rangers making a move to turn his switch permanent at Ibrox. The 22-year-old arrived in Glasgow over the summer on a season-long deal and has been a regular at the heart of the defence under Steven Gerrard with 21 appearances across all competitions this campaign. However, Burns believes he should be playing for his parent side south of the border in England’s Championship and expects big things from the young giant, tipping him as a future captain of the club but also fearing Rangers could look to sign him on a permanent basis. He was quoted by the Daily Record’s live blog (11:59) as saying: “I’m fed up with the club selling our best players. We’ve done it too often in the past, with the likes of Jamaal Lascelles, Karl Darlow, Michael Dawson, Britt Assombalonga. “We’ve sold plenty of our best players in the past, I’d like to see us keep Worrall. I’ve said all along, Joe Worrall is a future Nottingham Forest captain. If Rangers do want to buy him in the summer, I’d be telling them where to go. Worrall has had the supporters tearing their hair out at times during his spell at Rangers and so those in the Ibrox crowd will be wondering just what Burns thinks he has seen from the centre back. His inconsistent performances have put him and his teammates under the cosh one too many times and you would imagine that the Light Blues are not going to be pursuing a permanent deal unless he shows a marked improvement in his form between now and the end of the season. Can he really do a job in the Championship? 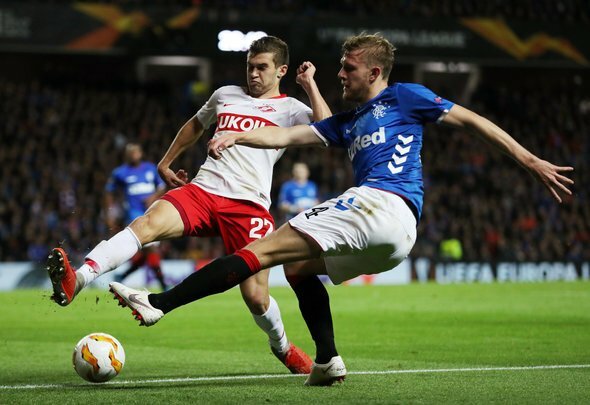 England’s second tier is much more demanding than Scotlands top flight, with the quality of all 24 teams closer matched than Rangers’ rivals and so his current showings suggest he would not be up to the desired standard at Nottingham Forest. Still, Rangers fans will wish him well when he does head back in the summer and hope that he can forge something for himself after a hit and miss campaign at Ibrox.